Hello ♡ Cute, flawless, and dorky. Put them all together and you get Bae Suzy from MissA. 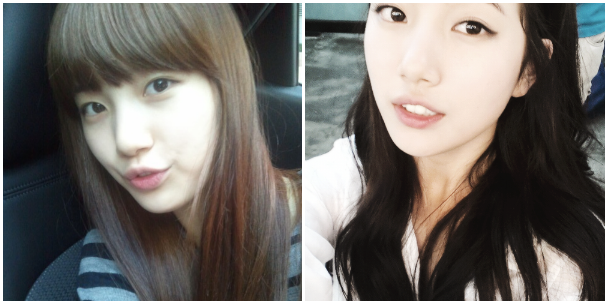 Suzy is really popular singer and actress in South Korea. She came to fame by being in a k-dramas such as 'Big,' 'House of Gu,' and 'Dream High.' which you can read about here. She is also know for her gorgeous, supple, and blemish-free skin. For the past couple of days, I have been practicing some of her skin techniques to get better skin (and they are working). I thought I would share a few that would help you. Double cleansing is a very popular skincare trend in Asia. You use one cleanser to remove your makeup and another to remove dirt and oil from your pores. Bubble Cleanser- After you rinse your oil cleanser, go straight in with your bubble/foaming cleanser. The bubbles will go into lines and pores to remove dirt and oil deep from within. It will also remove any of the oil cleanser that is remaining. This is my favorite tip! After rinsing your face cleanser don't dry your face with a towel. Instead use the towel to remove the water that is dripping down your neck, caught in your hair, and hands. Then use your clean hands to gently pat your face gently. This will help stimulate the blood in your face and your skin will begin to drink up some of the water. This will make your face more supple and smooth. Remember Suzy is very hard working. She dances and stays in shape, as well ,to maintain her gorgeous skin. I also got most of the info from this video, but I also expanded on the tips. 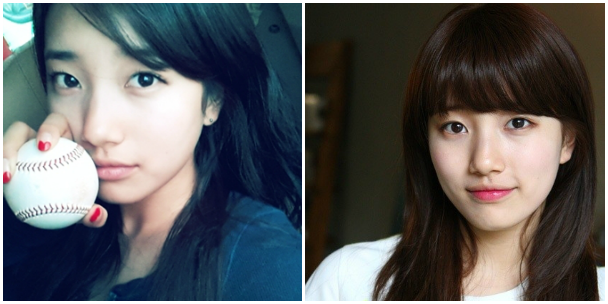 I hope you practice some of these tips to get gorgeous skin like Bae Suzy, SayA! To the left is MissA's comeback and the left is just a random video, enjoy! What are your celeb worthy skincare tips? I guess I should continue using my oil cleanser alongside with my foam cleanser ~ I love the feeling the oil cleanser gives but sometimes I feel like it makes my skin irritated and red even tho the product is for sensitive skin..
Oh really cool tips for skincare~ I've heard about the Double Cleansing and I do that too because the face looks more clean and healthy.